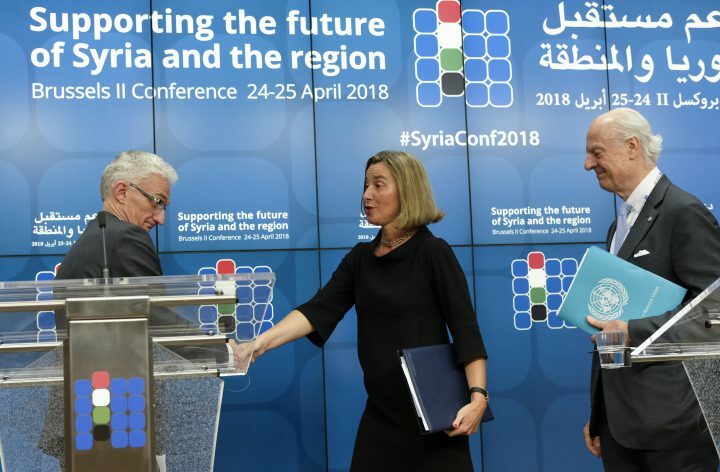 More than any player, including Russia with its boots on the ground, the European Union today holds the key to reintegrating Syria into the international fold or denying the Assad regime a victory and maintaining its isolation. At this very moment the European Union is arguably the most important player in determining the future direction for Syria. It does not need to ask for a place at the table, rather it is in a position to shape the outcome of the conflict. President Putin and certainly Assad know this well, perhaps better than the EU itself. The EU’s declared position that there will be no reconstruction without political transition needs to be operationalized in order for the EU to use its full clout to shape the resolution of the conflict. As long as military means prevailed in deciding the fate of Syria, the European Union could not alone induce any decisive change in the dynamics of the conflict, and Assad was vindictively seeking to prove that the European Union’s ability to influence the conflict was nil. Assad’s luck was that Putin was determined to prevent his fall and threw his full weight behind him to maintain his rule. When the guns finally fall silent, should the key countries of Europe and the EU itself simply accept as “a sad reality” the fact that the Syrian regime is back in full control of the country? Will they channel funds for humanitarian, post-emergency and early recovery purposes through the State’s financial system knowing full well that European tax payers’ money might be massively diverted to end in the pockets of Assad’s family and the kleptocracy around him,1Annie Sparrow, “How UN Humanitarian Aid Has Propped Up Assad: Syria Shows the Need for Reform”, Foreign Affairs, 20 September 2018, available at foreignaffairs.com and serve to pursue his sectarian scheme of changing the demographics of Syria along religious and ethnic lines? Framing the discussion in terms of accepting Assad and rehabilitating him or not is disempowering for the EU. It assumes that military force alone is what determines the outcome of the conflict and the political fate of the country. If it follows this rationale, Europe would be annihilating everything it stands for; it would serve as a helping hand in Assad’s strategy to bury the civil society groups it helped organize and silence the democratic forces and all those within the different sectors of society who want a Syria that resembles Europe in terms of its values and its political system on the other side of the Mediterranean. The EU’s declared position that there will be no reconstruction without political transition in Syria is an honorable one, but this position still needs to be operationalized if the EU is to turn it into a policy and use its full clout to shape the resolution of the conflict. Over more than seven years, the European Union held its moral ground in the conflict. It continued to defend human rights and helped civilians cope with the hardships of the conflict by providing generous humanitarian aid. But the European Union also worked hard to identify alternative channels to those of the regime so that aid could be delivered across the borders from neighboring countries; it supported local councils that emerged in opposition-controlled areas, developed the capacity of civil society groups on the ground and in neighboring countries, empowered women wherever possible, trained citizen journalists on professional reporting, and activists on documenting human rights crimes, helped doctors to organize medical support, lawyers and judges to form unions, supported education of Syrian youth at all levels, and stepped up its strategy on ending impunity in Syria by setting up and ensuring substantial funding for the International, Impartial and Independent Mechanism.2More commonly referred to as “the mechanism” or “IIIM”, it was established by UN General Assembly resolution in December 2016 to assist in the investigation and prosecution of persons responsible for the most serious crimes under International Law committed in the Syrian Arab Republic since March 2011. With this strategy, Europe was pointing in a clear direction, that of an emancipated Syrian citizenry and an inclusive and diverse society. This was a major source of irritation for Assad and his men, but he was then in an all-out war against his society, and as long as he could rely on his military capacities and those of his allies to suppress whoever stood against his rule, he could ignore the European Union, dismiss its condemnations and destroy the civil structures it supports. After seven years of repression, destruction and mass crimes, Assad continues to believe that by reconquering all Syrian territory, he will have eliminated all alternative structures and channels to those of his regime and will be able to restore his exclusive control over society: civil society groups who received the support of European donors will have been wiped out, local governance structures elected by the people will have been swept away, lawyers and judges who refused to serve in a subdued judicial system will never dare come back to Syria, and Europe will have no choice but to deal with Assad again. This provocative and contemptuous behavior should not conceal the reality. Europe has never ceased to represent the main pole of attraction for Assad and the target of his expensive communication campaigns, image-building and lobbying before 2011. This is the case now more than ever and there are objective reasons for that. Europe was Syria’s first trade partner and its first provider of economic aid before the conflict. European countries are the first destinations for Syrian students and young professionals to gain knowledge and know-how. In short, Europe has always been and continues to be Syria’s window to the world. It is in a position to put forward its own vision of a safe and genuine transition. To demonstrates real leverage, the European Union needs to take a proactive stance on the issue of reconstruction and the future of the country. So far Russia’s proposed roadmap for ending the conflict is to pacify Syrian society after the deadly military campaigns, rehabilitate Assad, organize a hasty return of refugees while no measures are taken to make the country safe to return to, and set up a token process of constitution-drafting and elections. In response to this plan that will neither bring peace to Syria nor ensure the return of refugees, the EU could put forward an alternative template for transition. It could start by putting the rule of law at the center of its approach and consider it the key indicator of genuine change. While the rule-of-law approach suggests a process driven primarily from the top with limited participation of the citizenry in the first phase, there are situations when there is virtue in giving supremacy to securing a sound legal framework before the population can be safely consulted, particularly when the people have been deprived of the exercise of citizenship for a long time as in Syria. Moreover, in a post-conflict transition, when the country’s sovereignty has been bruised, the risk is high that voters will be influenced by outside players and undemocratic forces, or that their votes will lead to illiberal choices that frighten minorities. The international community wants to make sure that democratically elected leaders are going to be independent and respect all citizens’ rights, the rule of law and democratic institutions. In the current context, it may be wise to ensure that politicians are kept in line by effective courts before they are made accountable to voters. 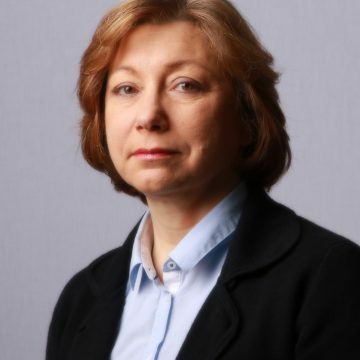 Concretely, the rule-of-law approach would first begin with demanding the immediate cancellation of all extraordinary jurisdictions, the suspension of all laws that allow arbitrary practices, the release of all prisoners (however many are still alive), the designation of an independent General Prosecutor, the enactment of laws that set clear rules and procedures to combat corruption with the adoption of effective means to enforce these laws through credible civil courts. Given that Syria’s judicial system has lost its independence and credibility over several decades, the EU is undoubtedly in the best position to offer its support in this area. In the short term, it could help inject into the Syrian judicial system some international and Arab magistrates to work alongside their Syrian colleagues to accelerate the process of rebuilding the Syrian judiciary without which no Syrian can ever feel safe in his or her country. Over the longer term, the European Union will remain the best, if not the only, partner who can build the capacities of Syrian judges and lawyers to revive a judiciary which was once upon a time a respected institution in Syria. Second, the UN-led process hinges on creating a safe and neutral environment as a key condition for the implementation of any agreement. Such an environment requires first and foremost a set of legal rules that all players agree to abide by and that protects citizens’ human security, rights and property. By articulating a road map for the establishment of the rule of law in Syria, the European Union will be able to confront Russia with concrete demands and give a serious boost of credibility to the overall political process. Thirdly, reconstruction is primarily a rule-of-law question and an issue of reliable and predictable governance. Assad himself knows that he needs to establish the legal grounds for his reconstruction scheme and the expropriations he is planning, as his decision to enact the infamous Law 10 indicates.3See Arab Reform Initiative, “Law n°10 on Reconstruction: A Legal Reading of Organized Mass Expropriation in Syria”, 28 June 2018, available at https://www.arab-reform.net/en/node/1312 Europe’s most significant role in this regard would be to demand from Russia (rather than Assad himself) that this law be repealed. It must state that any government that rules Syria must abide by a set of strict criteria (transparency of operations, impartiality and non-discrimination) and demand evidence of their fulfillment before European governments and private companies can sign reconstruction-related contracts with any Syrian company or institution. Specific benchmarks must be met if humanitarian aid is to be provided through the central government, including through the Syrian Red Crescent which Assad has started using as a façade to initiate efforts at rehabilitating his regime. Fourth, the EU could support the creation of an independent watchdog whose mission would be to monitor the use of any international funds provided to Syria, whether through governmental or other channels. This structure would be led by independent international experts in anti-corruption methods with the active participation of Syrian citizens, thus allowing Syrians to know how monies donated in the name of assisting them are effectively spent. A fifth critical area is the sanctions. Those targeting individuals linked to the regime remain a powerful tool if used judiciously. Assad and President Putin are most eager to see sanctions lifted and are lobbying hard any EU country willing to listen. This confirms that sanctions make a real difference for Assad and his entourage. In fact, when the European Union voted sanctions in 2011 against Syrian individuals directly implicated in the repression of the uprising, their impact was devastating on the business community and on the regime, while their impact on the population remained limited. The Syrian regime became a pariah and big businessmen were eager to distance themselves from the Assad family. The economic and financial structures that bound them to the regime (financial consortia, joint ventures, state-controlled chambers of commerce and of industry) fell apart or were frozen while Assad scrambled to replace them with straw men and pretend that all was fine. The economic and political impact may not have been very visible, but it was considerable. Assad lost most of his ability to draw on the resources held by the private sector and had to rely increasingly on the support of his foreign allies. This made him more dependent on them financially long before he became dependent on them militarily, a proof that the EU holds a powerful card with real leverage. Instead of considering lifting Syria-related sanctions, the EU should enhance its monitoring capacity to identify new individuals and companies that serve as cover to enable the predatory practices of the Assad system and update its sanctions lists on an ongoing basis. Last but not least the European Union must without delay, throw its weight behind those civil society organizations which it supported over the years with a view to turning them into key players in the reconstruction process. Thanks to European support, these organizations have not only provided vital services to the population, they have also gained precious experience in managing their institutions according to good governance practices, their leaders have learnt new skills and developed a capacity to work with outside partners. In the desolate landscape of a destroyed country, these CSOs are the new blood that runs in the veins of society. Rather than wonder helplessly about whether Assad might crush them or allow them to exist, the European Union should make their protection and capacity to work a key criterion of its willingness to engage with the central government. In practical terms, a roadmap for transition centered on establishing the rule of law would have to include a robust NGO law that protects these organizations and allows them to operate with the necessary freedom. The European Union, through its various institutions has promoted a vision of the future Syria centered around its citizens and a vibrant civil society. This is not to the taste of President Putin or Assad. Thus, Russia seeks to belittle the voice of the EU in the quest for a settlement while at the same time President Putin lobbies hard every European leader he meets to convince them of the need to contribute to reconstruction. He and Assad know very well that there will be no peace in Syria without Europe’s massive participation. Instead of giving in to a defeatist and self-defeating belief that Assad’s military “victory” is a reality which the world must come to terms with, now is the time for the European Union to leverage its considerable assets in ways that allow it to be the key peace-maker in Syria. 2. ↑ More commonly referred to as “the mechanism” or “IIIM”, it was established by UN General Assembly resolution in December 2016 to assist in the investigation and prosecution of persons responsible for the most serious crimes under International Law committed in the Syrian Arab Republic since March 2011.